The later half of March is a confusing time to be in Colorado. The range of possible weather events makes it a tough time period to plan for. In the mountains, there are plenty of times snow continues to fall, and provides more high quality snow days for skiers and snowboarders. But, the snow does not always continue to fall, and if it doesn’t, conditions on the mountain can deteriorate fast, as warmer temperatures are likely to eat away at the snow pack. 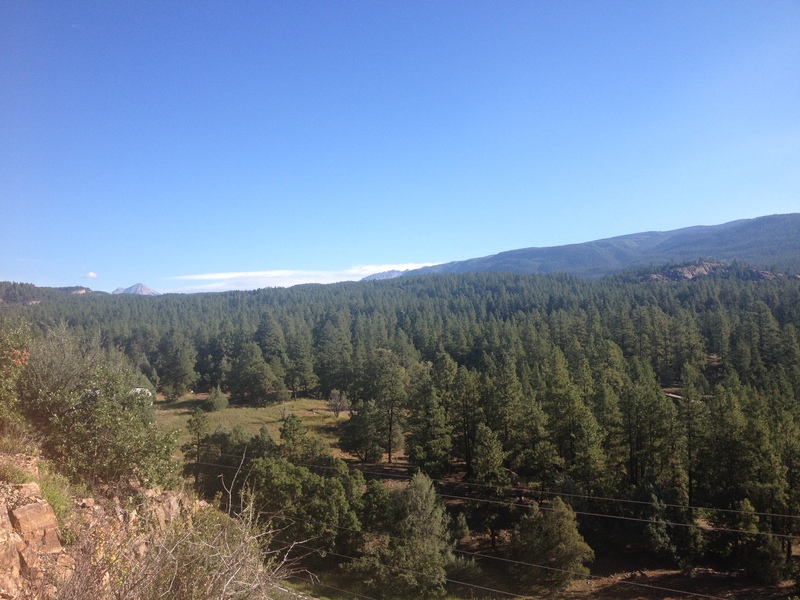 At lower elevations there is quite a bit of variance as well. March can easily bring Denver, Fort Collins, and even Colorado Springs long strings of 70 degree days. It can also bring heavy snowfall, as was the case this past Wednesday. There’s no guarantee that the weather will cooperate for any outdoor activities. There is always the chance that skiing conditions will continue to deteriorate without conditions for cycling or hiking at lower elevations improving. For people like me, this time of year has the potential to be quite underwhelming. Due to this uncertainty, I would not personally recommend people travel any great distance to visit Colorado in the later half of March or April. With leftover snow on the ground, covering the trails and such, this weekend ended up being a good time to visit one of Colorado’s indoor attractions. I often lament that Colorado does have some quality museums, an indoor activity, but that I rarely actually visit them as I am planning outdoor adventures. A weekend like this, with less than inspiring weather conditions is the perfect time visit the Colorado Model Railroad Museum in Greeley. As should be expected from a museum dedicated to model railroads, there is quite a bit on display here. Following the suggested self-guided tour route through the museum, I started out by going upstairs, where I viewed the model rail display in its entirety. Although it is neat to see these trains go by, each one carrying a different type of freight across the landscape, model railroads are about so much more than just the trains. They depicts towns, industry, and scenery. Some of the mountains depicted on this display even contain small components of real rock. The upper floor of this museum is like a trip back in time. Plastered on the wall is a map of regional railways, which were once the primary way in which we traveled around the area. After viewing the photos of historic rail depots, posters from the middle of the 20th Century promoting passenger rail service, and old train schedules on display, I imagined myself in the setting of some quasi-ambiguous time in the middle part of last century, bags packed, ready to hop aboard one of these trains to embark on an adventure. I gaze at these maps, and think about how much I enjoy not only the adventures I have at various travel destinations, but the process of getting there, the journey. The railways, and these models, are all about the journey! The second half of the self guided tour takes visitors downstairs, to see the components of this elaborate model train display individually. Each segment of model trains tell a story, but not a straightforward story. They show a snapshot of life in different places along this train’s route. Looking at all of these individual displays, it is quite easy to imagine oneself there, as part of the story, or as an omnipresent type of observer. The details and creativity allow visitors to develop a story based on what they see. In this thriving town along the rail route, I imagine myself getting a dollar out to purchase a soda from a vending machine on a hot day. I imagine what this family is doing. Did they just have a fight? The Man’s arms are folded and the daughter is turned away from her parents, clinging to a stuffed bear. They got creative too. 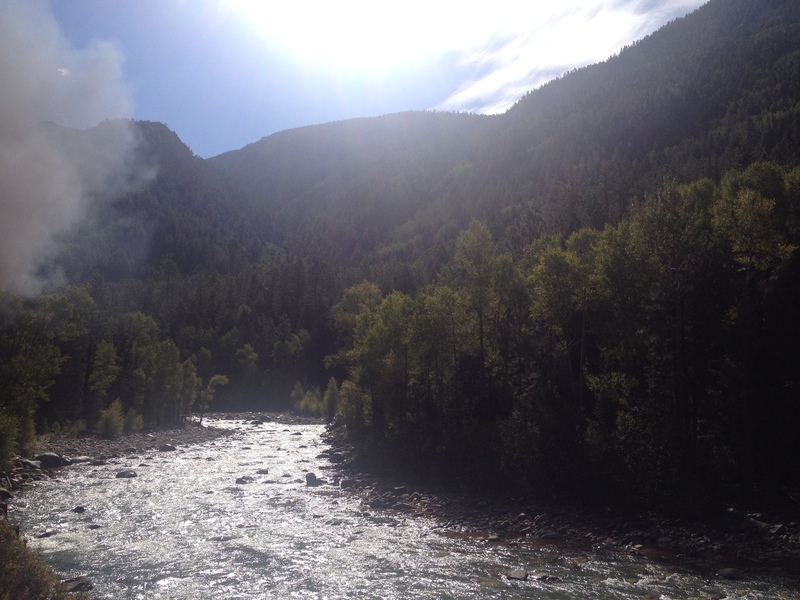 The scene here is a wildfire being put out by firefighters. This is one of many places throughout this gigantic exhibit where specific events are depicted. Not only do we see where stores are, where houses are and such, imagining the day-to-day life in fictitious towns along the route, periodic occurrences are displayed before us as well. In a few areas, the builders of this display got even more creative. My favorite one here depicts a kayaking trip gone wrong. This kayak now inhabited by a black bear, with two people having been thrown into the water, only one still holding on to their paddle. A ton of work went into the displays at this particular museum. It’s been a long time since I have been to a museum like this one, but I picture most model railway museums being similar in nature. It is impossible to overstate how important attention to detail is when creating an exhibit like this, or even when people create model train sets for their own homes and gardens. I do not consider myself detail-oriented enough to put something like this together. I am also probably way too extroverted to want to spend the time putting together a display like this. Seeing this display, first in its entirety, and then by its individual components, gave me a newfound appreciation for the attention to detail payed when creating this exhibit. None of it would have been nearly as good had anyone involved in building this exhibit taken the attitude I often take that details matter less than the big picture. The story of this exhibit would not be presented properly had one little item, one tiny piece of brick at 1:87 scale been slightly off. Maybe details need not be dismissed. Maybe those of us that are frustrated with dealing with details we deem insignificant need to just understand how they fit into the big picture. This entry was posted in Colorado, history, Museums, seasons, Trains and tagged Colorado, Colorado Model Railroad Museum, Greeley, model railroad, Trains on March 26, 2016 by Stephen Jaye. 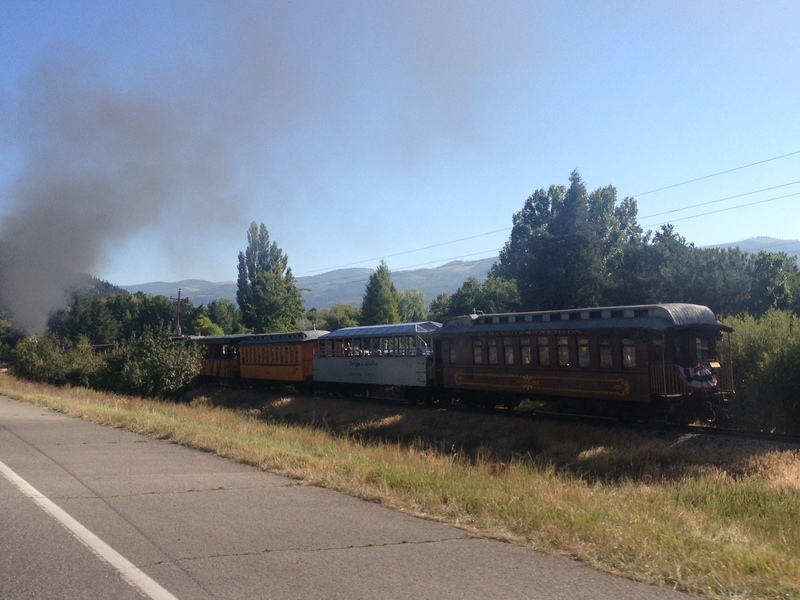 One hundred years ago, most of us traveled on steam engine trains. The proliferation of railroads across the continent during the 19th Century revolutionized how we got around, and connected us in ways we had never been before. At the start of the 19th century, it took Lewis and Clark multiple years to get from one end of the continent to the other. By the end of the 19th Century, that trip could be made in only one week by train. During the 20th Century, more and more people were able to afford automobiles and flights. Many of the train lines across the country went away as people switched transportation methods. Those that remain have long since converted to more modern technologies; diesel or electric, and are primarily used for commutes between cities and/or suburbs at times of high traffic volume. There are a few places where one can still ride a steam train, exactly how we used to ride in the late 19th and early 20th centuries. 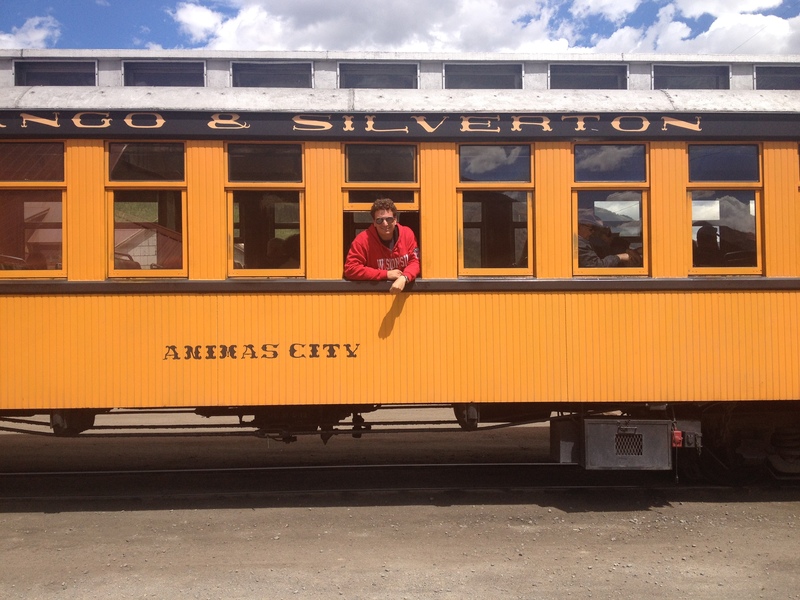 One of those places is in the San Juan Mountains of Southwestern Colorado, where a Narrow Gauge Railway offers daily trips between Durango and Silverton, primarily for tourism purposes. 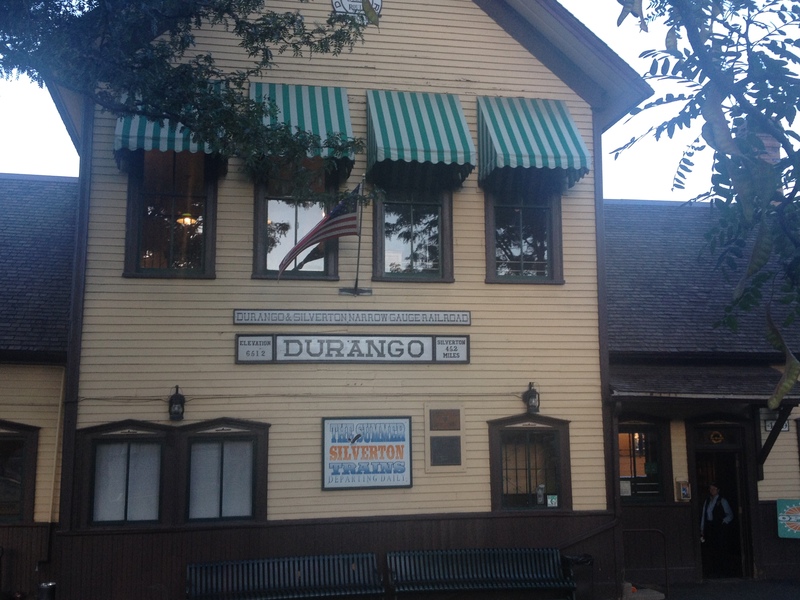 The train schedule is set for tourists to ride the train from Durango north to Silverton in the morning, and then return in the afternoon. There are three departure time options, the earliest of which (and the one we took) departs at 8 A.M.
Part of the novelty of taking a train ride like this is how authentic the ride is, including the inside of the train. Today, we are accustomed to traveling with a higher level of comfort than this. 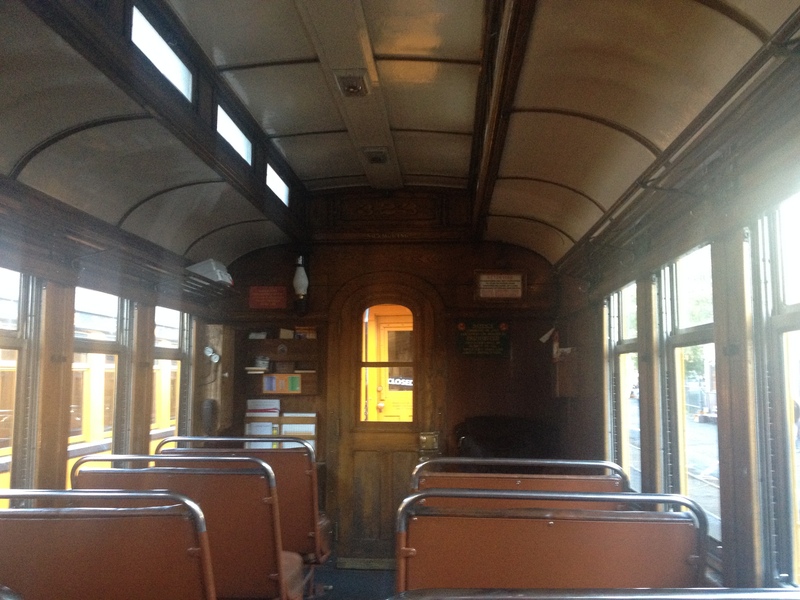 But, the inside of this train definitely had the same exact feeling as one would have experienced one hundred years ago, making the experience as authentic as one can get. 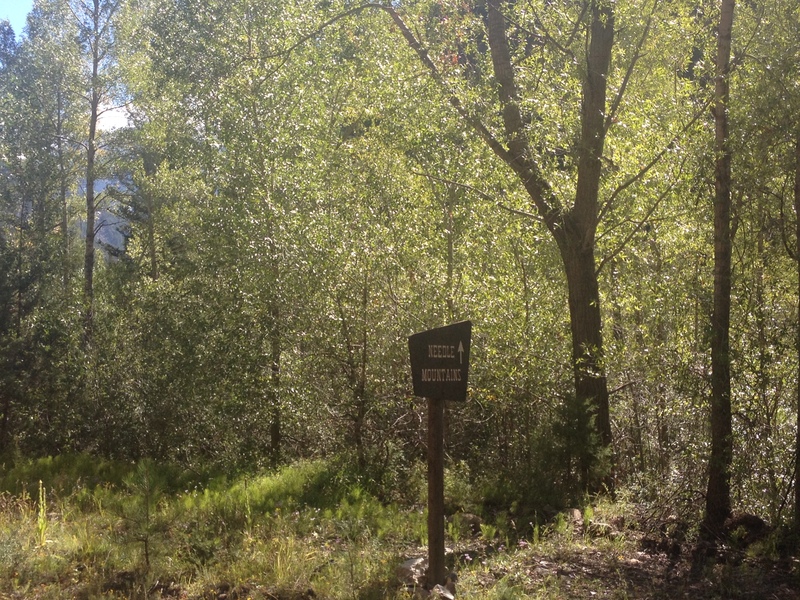 This particular train route, from Durango to Silverton, follows alongside the Animas River the entire length of it’s 45.2 mile route. 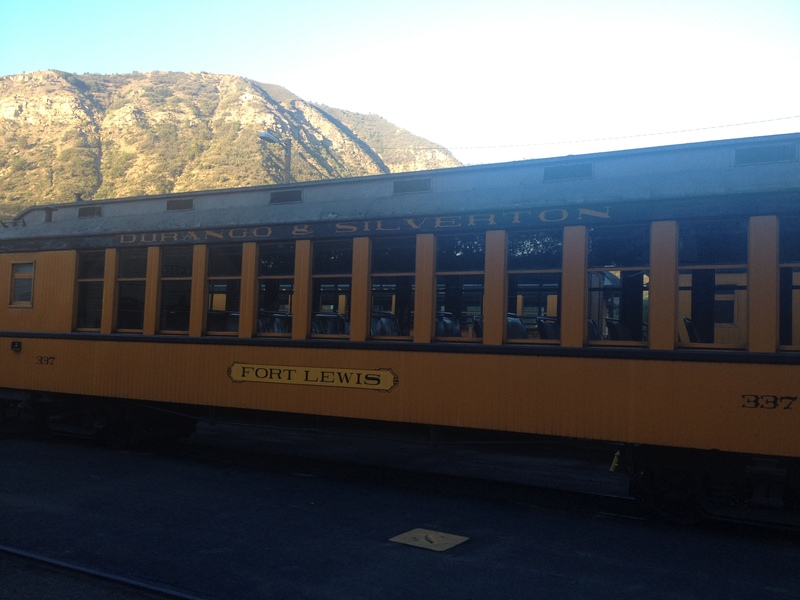 The breathtaking scenery in which this train traverses makes the train ride appeal to many different kinds of tourists, as opposed to just train enthusiasts. 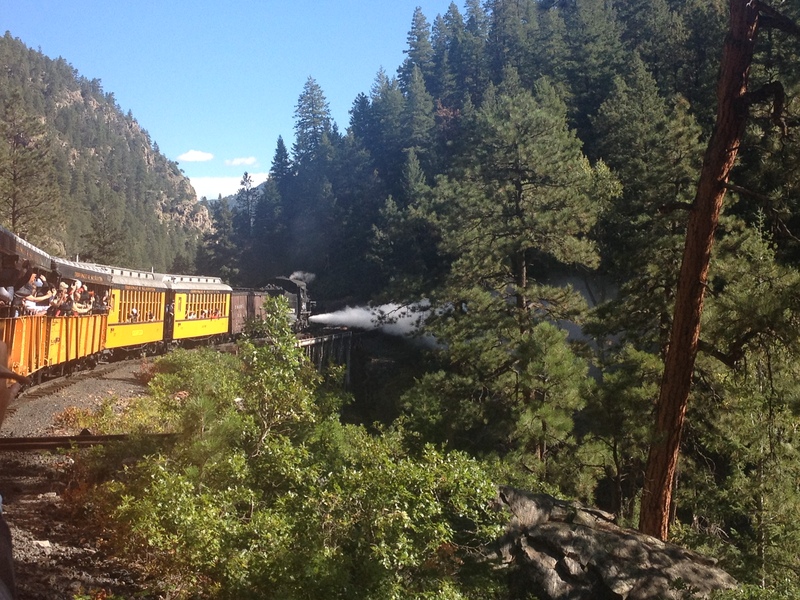 The train leaves Durango, at 6512′ above sea level, and begins it’s climb quite slowly, through a wide open river valley. For the first section of the trip, the train follows the same path as the highway. 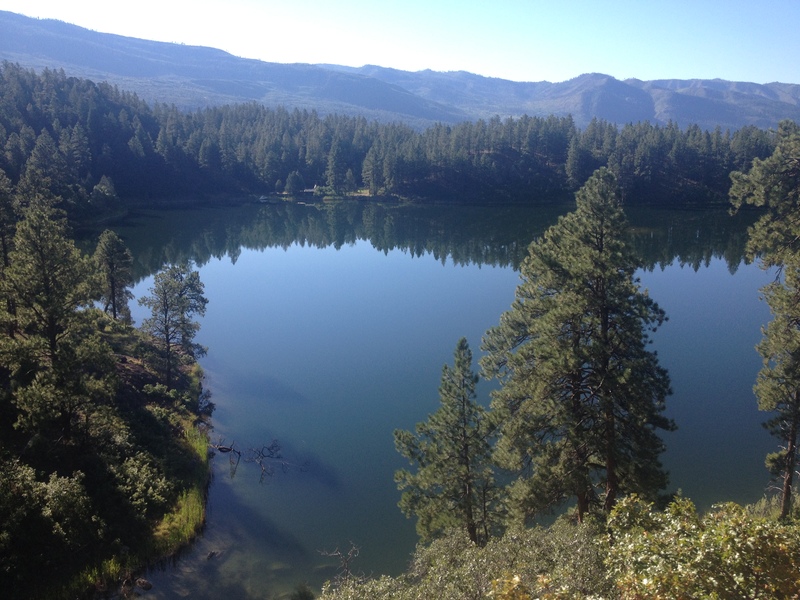 Some 15 or 20 miles into the trip, the train deviates paths from the highway, at a large lake called Electra Lake. This is where the scenery really becomes quite unique and breathtaking. 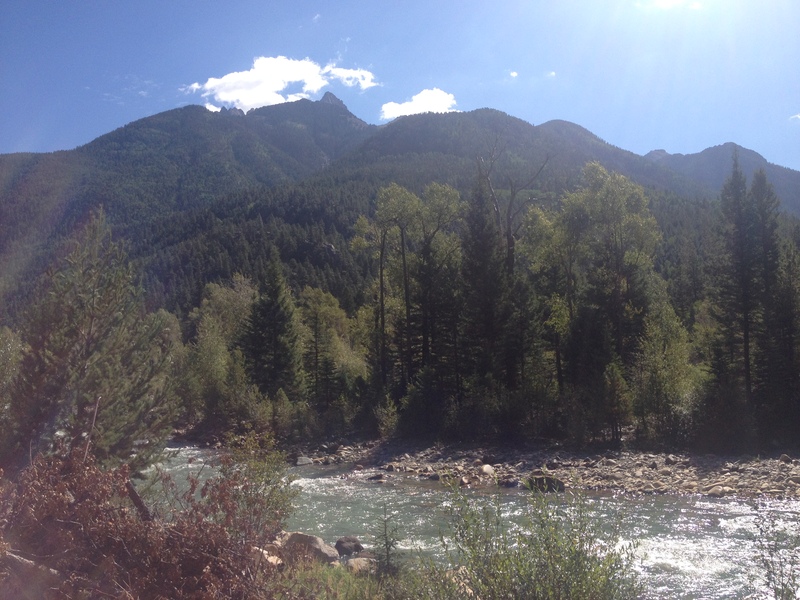 The river valley becomes much more narrow as it meanders through the Needle Mountains. The narrowness of the valley is the reason the train is “Narrow Gague”, and also the reason that roads could not be built to follow the river valley. 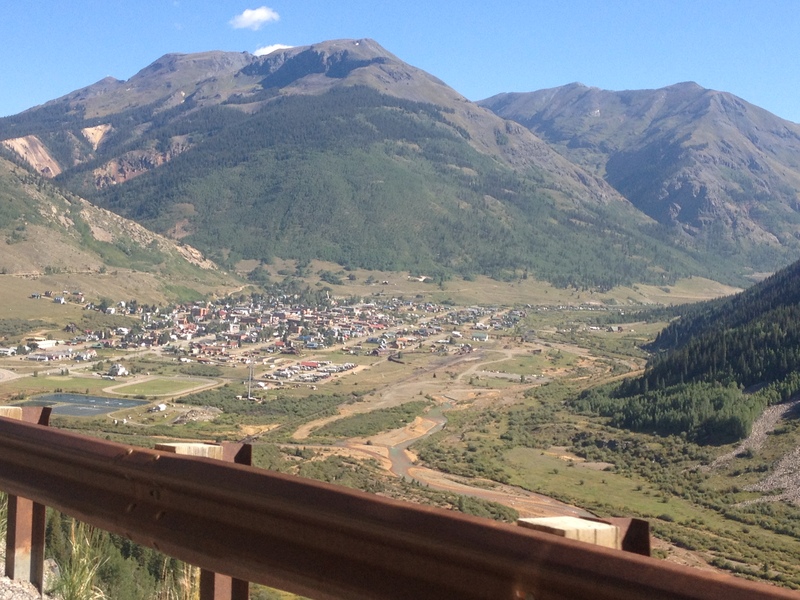 “Million Dollar Highway”, the highway that connects Durango to Silverton (and eventually Ouray), was necessarily built along a different route; traversing two mountain passes well above Silverton’s elevation of 9300(-ish) feet. 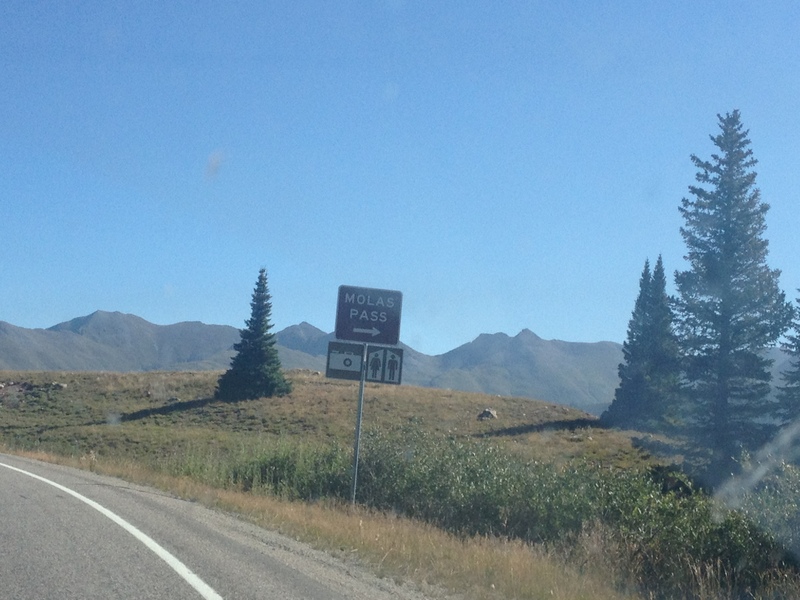 The route along “Million Dollar Highway” is also considered very scenic, but in a different way. In fact, this highway is also a popular bicycle route, and even the venue of an annual bicycle race. 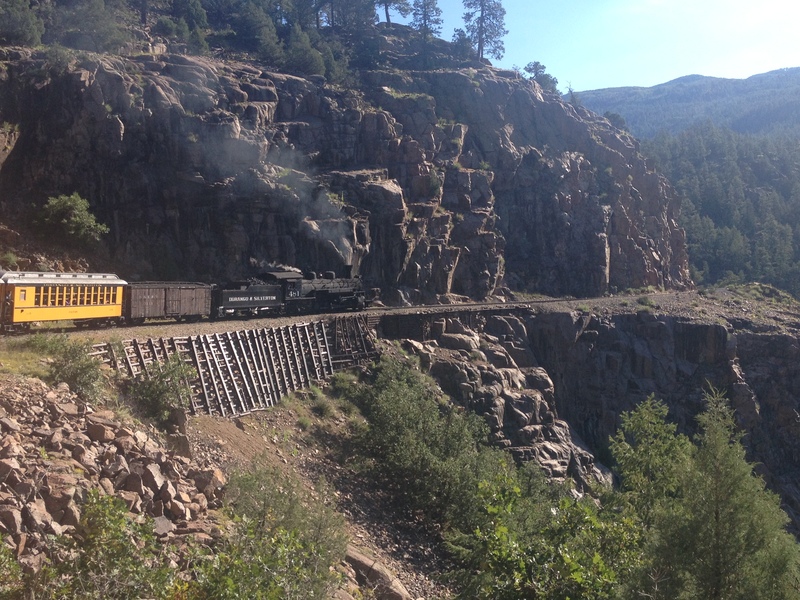 I would definitely recommend experiencing the journey from Durango to Silverton in both the old fashioned (steam train), and the modern (by car or with a nice road bike) way if time permits, as each set of views are great in a distinct way. 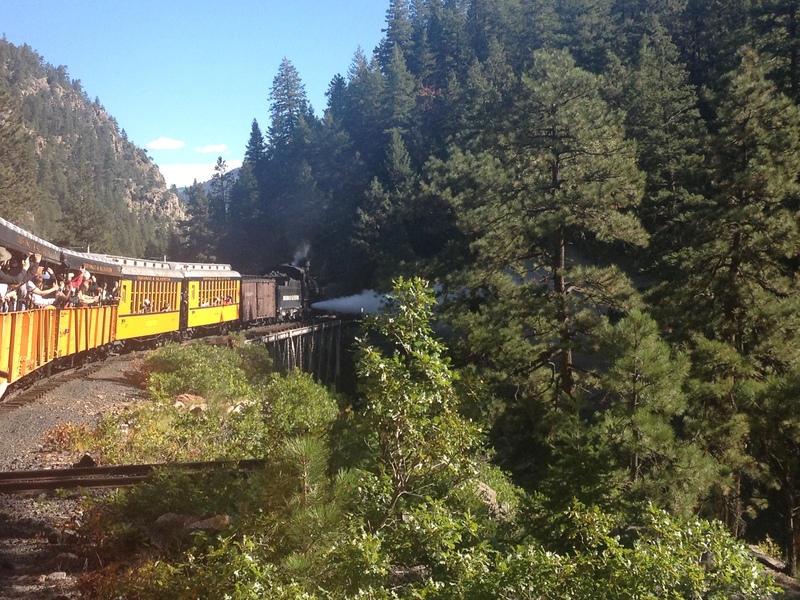 The train completes it’s journey into town in the heart of the Needle Mountains, where the gradual change in the color of the rocks surrounding the river reminds riders of the town’s history as a destination for miners. Along Million Dollar Highway, motorists and cyclists view the Needle Mountains from both a higher elevation and a little bit of a distance, seeing them in their entirety. 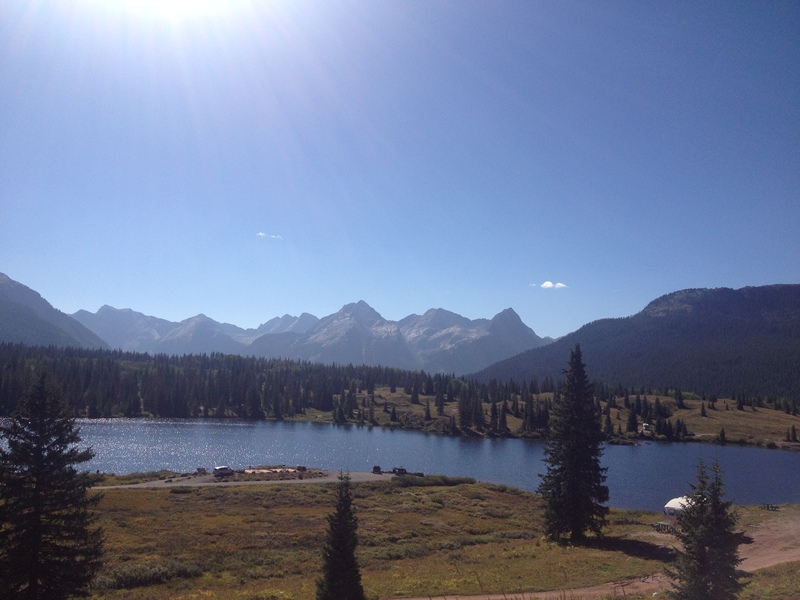 This is followed by a descent that first winds around Molas Lake, and then provides an aerial view of the town. 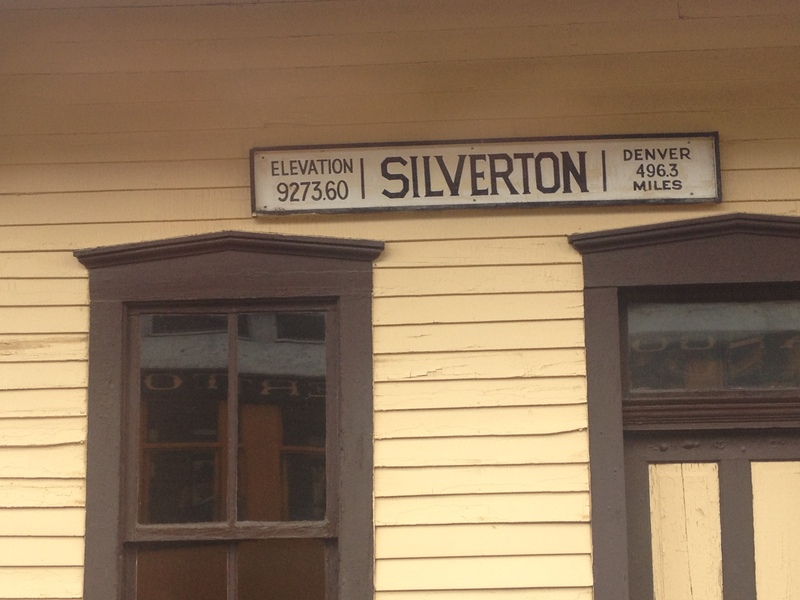 Silverton is quite the unique place as well. As soon as I stepped off the train, I felt as if I had entered the Old West. 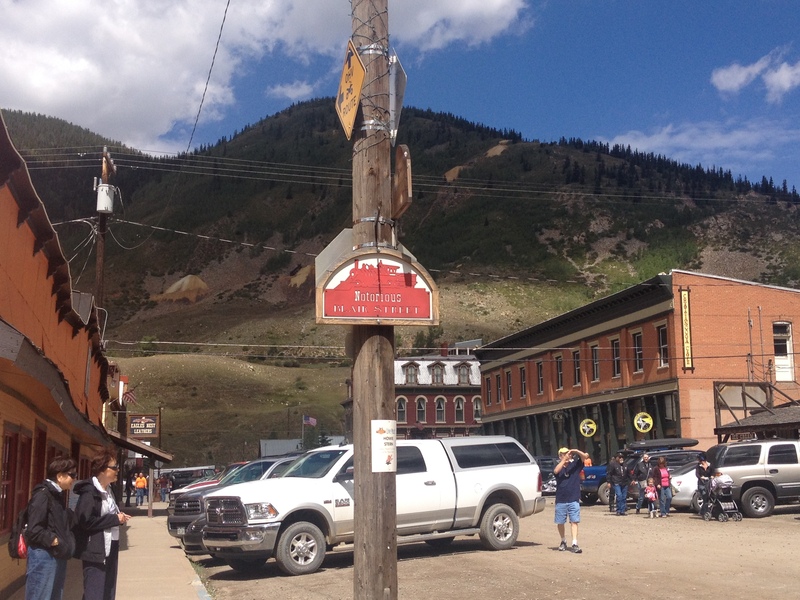 In fact, I have never felt more genuinely in the Old West in an operational town (as opposed to a restoration like South Park City) as I did in Silverton. 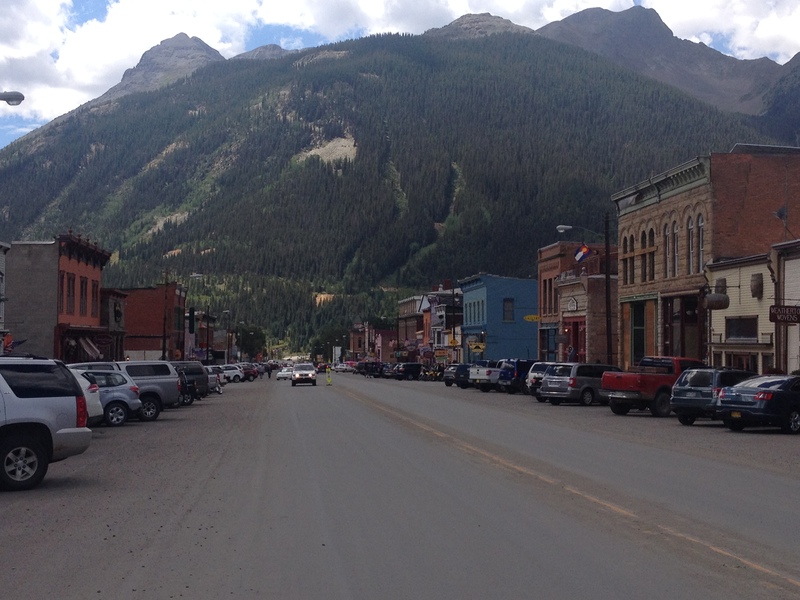 With the exception of Main Street, Silverton’s roads remain unpaved. 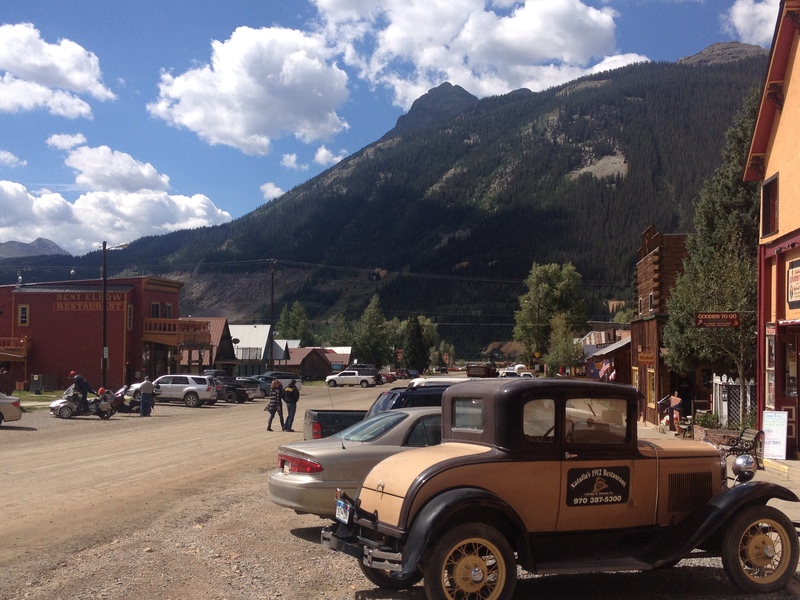 Many of the storefronts are still reminiscent of Old West businesses, in design and font, and there are even a few cars that resemble those produced in the early days of the automobile’s availability. We at a restaurant called Grumpy’s Saloon, right in the heart of town. 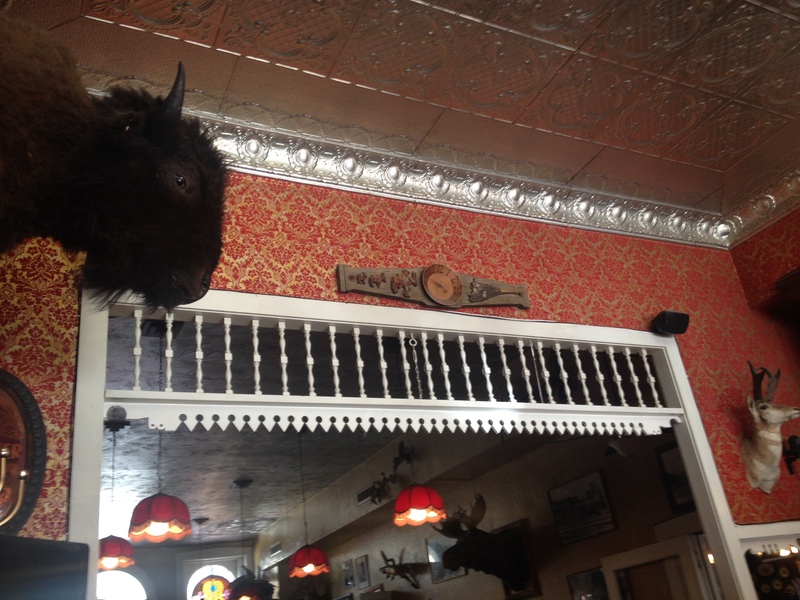 This restaurant also felt like an Old West recreation. 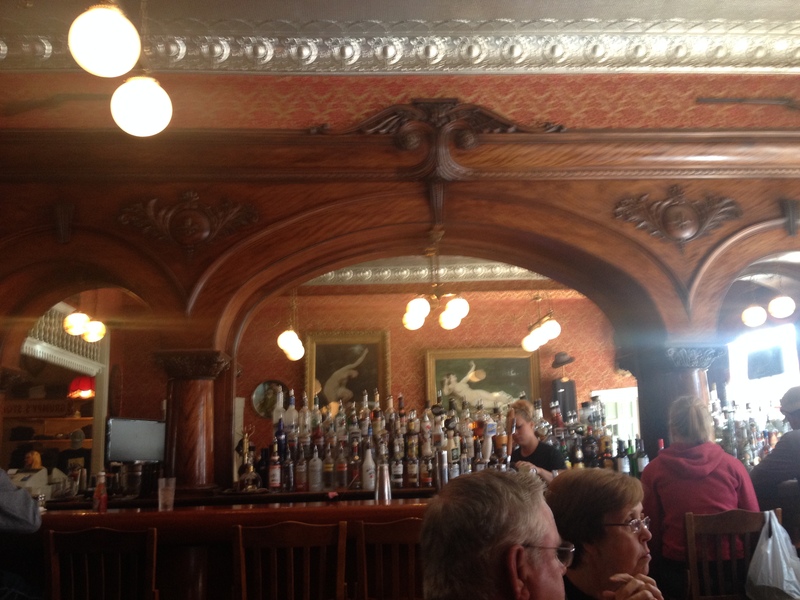 Between the wall decorations, the waitresses dressed clothing that seemed like it came right out a film like Maverick, and an old man playing tunes on the piano, it actually felt as if they were trying too hard. 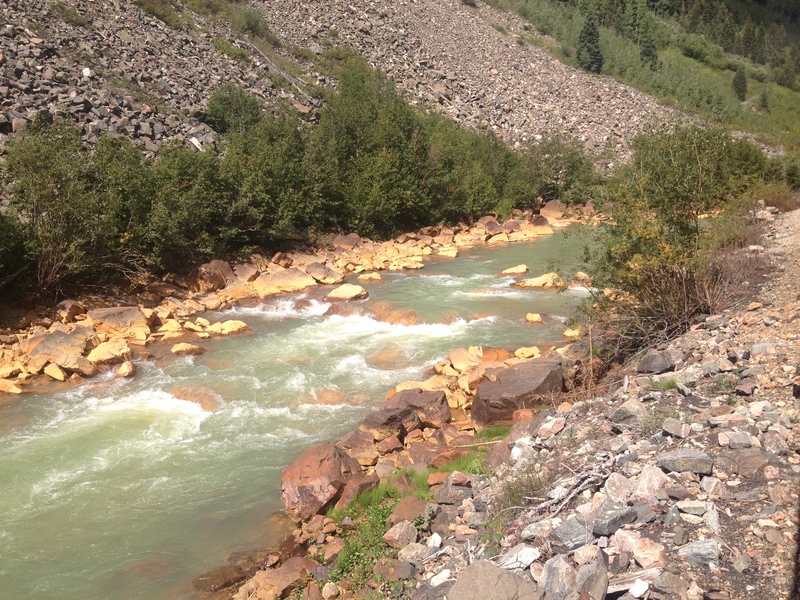 The only real drawback to taking the Durango-Silverton Narrow Gague Railway is the length of time the trip takes. A trip of only 45.2 miles actually takes close to three and a half hours each way. By contrast, the trip by car took roughly and hour. And, while it may take around the same amount of time for a cyclist like me to get from Durango to Silverton, the mainly downhill return trip could likely be done in around two hours. I guess, like all other aspects of this trip, the travel time is also true to the exact way it was one hundred years ago. 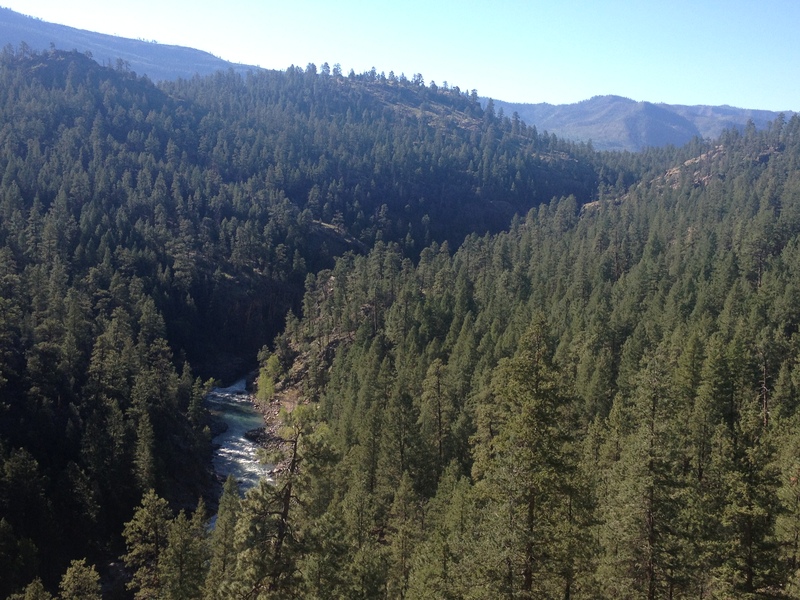 While it was great to get the real experience, the return trip did start to drag on a bit, particularly when the train entered the less exciting scenery in the later part of the return trip to Durango. My advice would be to either pay the extra money to ride the bus on the return trip, or to bring a book or magazine for the last 60-90 minutes of this trip. 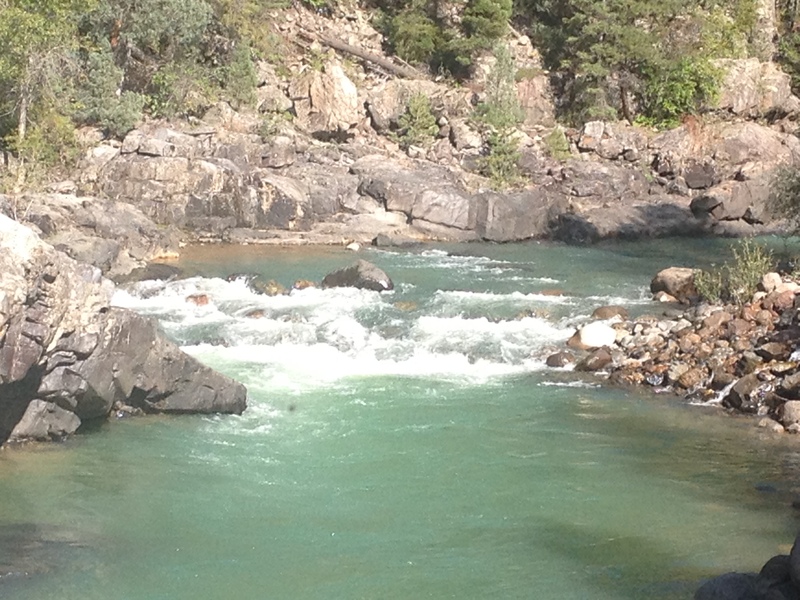 This entry was posted in Colorado, history, Scenic Drives, tourism, Trains, transportation and tagged Animas River, Colorado, Durango, Million Dollar Highway, Needle Mountains, Old West, San Juan Mountains, Silverton, steam trains, Trains on September 8, 2014 by Stephen Jaye. 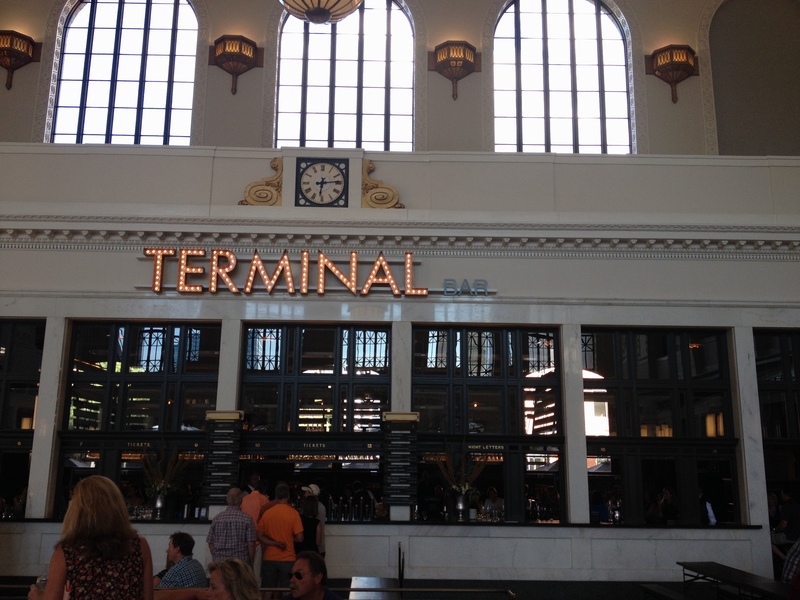 Earlier this summer, the new and improved Union Station opened in downtown Denver. 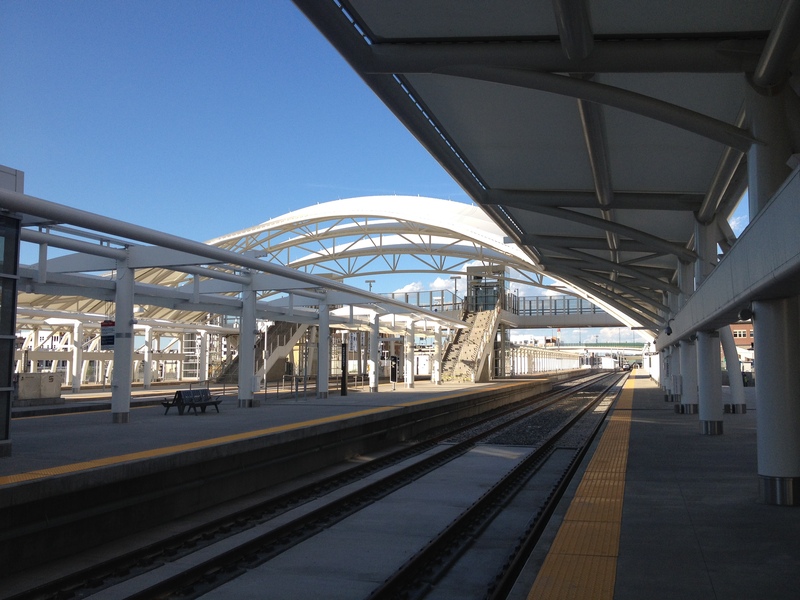 The station was rebuilt in an effort to accommodate several new train lines that are currently being built in the Denver metro area. By the time this process, known as FasTracks, is complete, the metropolitan area will finally have an extensive rail system connecting many of the major employment, residential, and cultural institutions in the region. As not only Denver, but the entire region, grows in population, this facility will serve a significant purpose. Nearly every major city has one or more central transit hubs. These transit hubs, such as New York’s Penn Station, often serve as a connecting point between multiple transit systems, making transit in and around the region easier. Although only one of the new FasTracks lines has officially opened, Union Station is already prepared to serve this purpose. The most significant aspect of the construction of this facility, was, of course, the building of new train tracks and platforms. With multiple tracks, and multiple platforms, Denver’s central train station is, for the first time, looking like the types of train stations I am accustomed to seeing in major cities with advanced transit systems. In fact, seeing the pedestrian bridge with stairways to each platform actually reminded me of the train station in Jamaica, Queens, where several lines of the Long Island Railroad join, I would frequently transfer trains as a kid. The new train lines in the RTD system, including the all important line to the airport, which will begin operations within the next 24 months, will all board on these tracks. However, for now, the only train operating on this set is the AMTRAK (the other trains operate on the light rail tracks on another platform a block away). Unfortunately AMTRAK operates only one line through Denver, the California Zephyr, which runs from Chicago to Emeryville (near San Francisco). I seriously doubt that I will ever ride this train. There is only one train option in each direction per day. 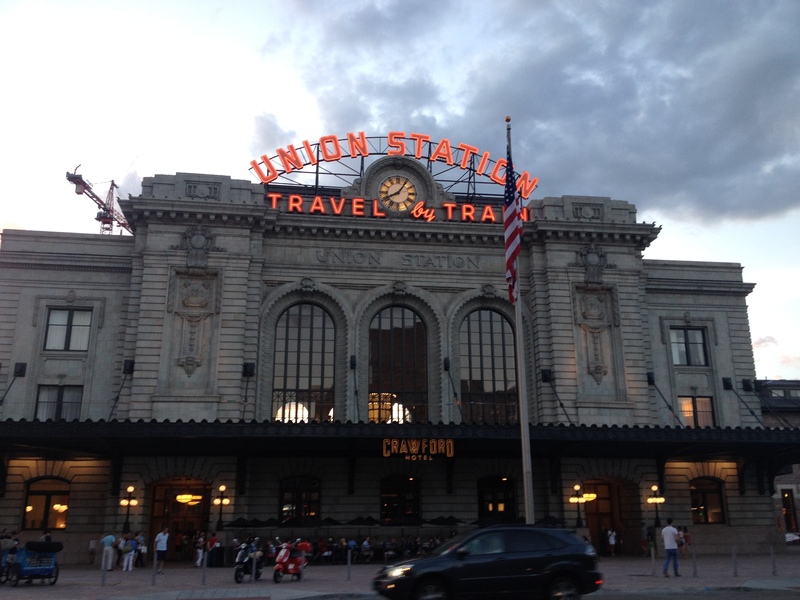 Each morning, a Westbound train is scheduled to arrive at Denver’s Union Station at 7:15 A.M., and depart at 8:05. Each evening, an Eastbound train is scheduled to arrive at 6:36 P.M. and depart at 7:10 P.M. 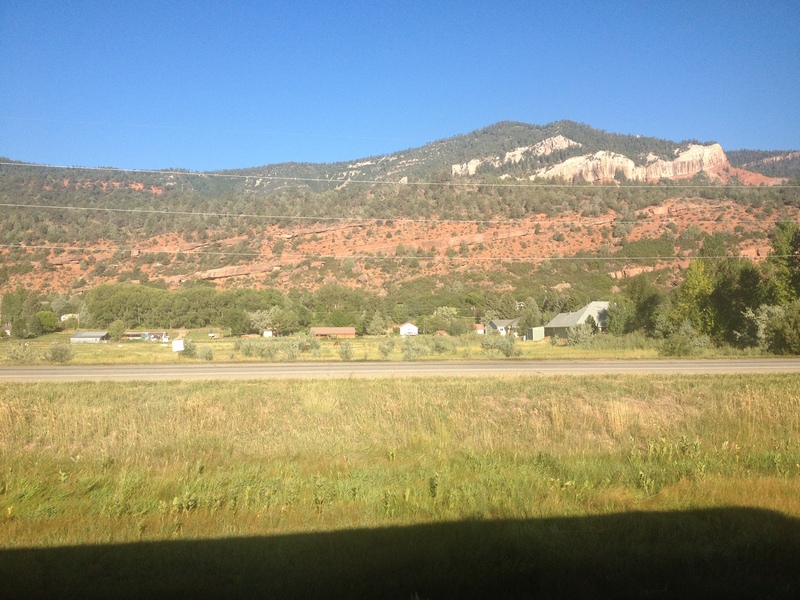 In addition to the lack of additional options, according to the schedule, the trip to Glenwood Springs (on the Western Slope, and a major tourist destination) takes just under 6 hours. The return trip is scheduled to take over 6 hours! 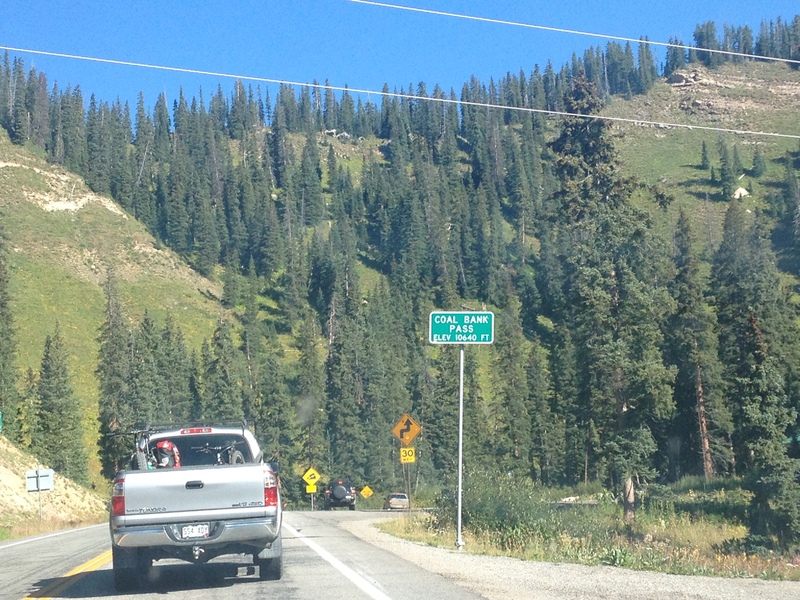 According to Google Maps, the drive from Denver to Glenwood Springs takes 2.5 hours (without traffic). 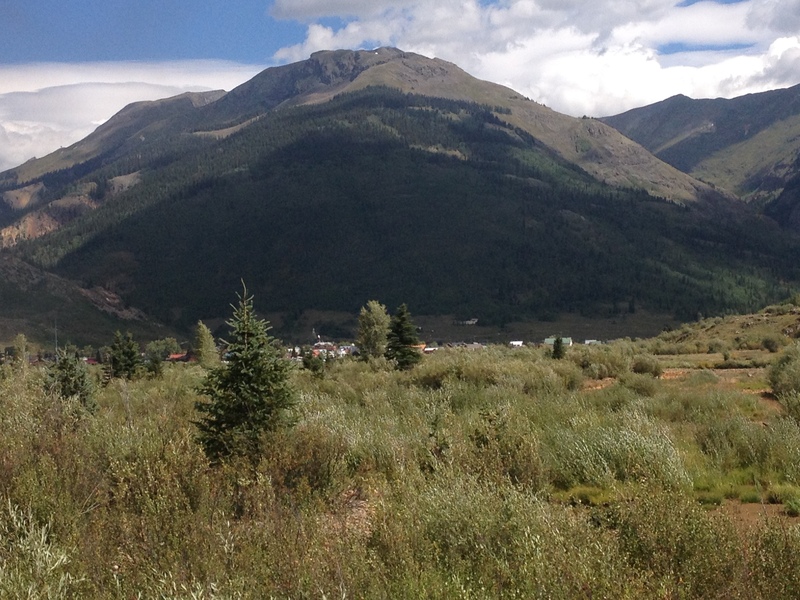 Even for those without a vehicle, both Greyhound and Colorado Mountain Express offer bus service to Glenwood Springs in under 4 hours. 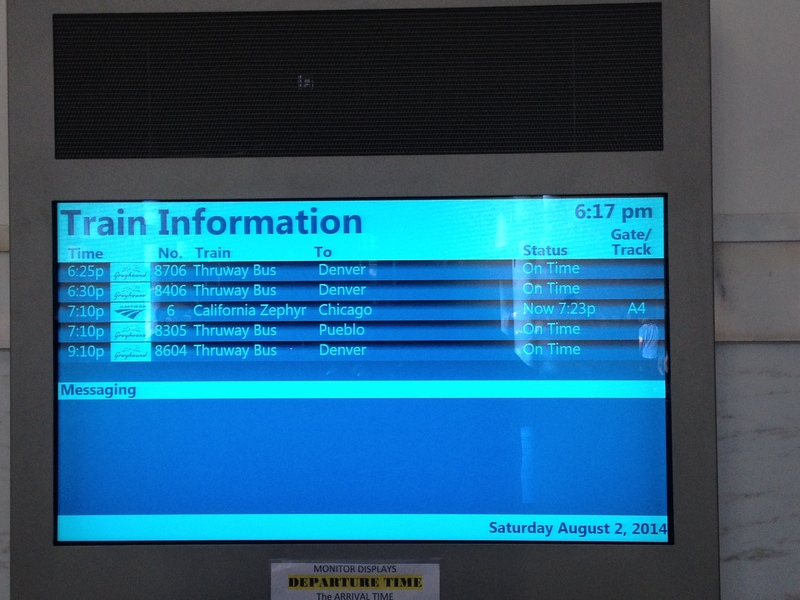 And, of course, AMTRAK’s other issue is its lack of punctuality. As the day progressed, the station filled with people, not only checking out the new station, but with people arriving to take the Eastbound train scheduled to depart at 7:10. 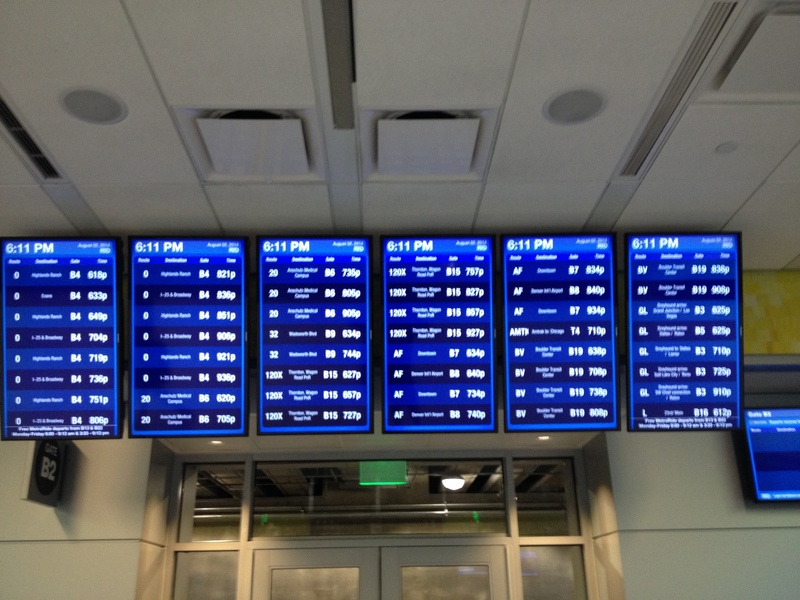 By quarter after 6, the information board had indicated that the train would arrive at 7:23. Good thing the schedule builds in that half an hour layover, right? Well, for AMTRAK, that was not nearly enough. 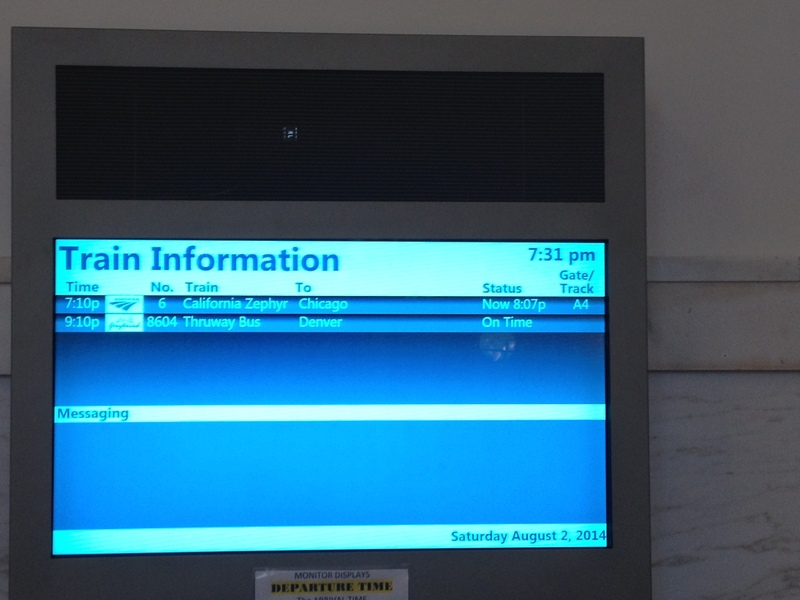 By 7:30, the train had not arrived yet, with the board now indicating an 8:07 arrival. That train would eventually arrive at 8:30. The backbone of Denver’s transit system remains its buses. In fact, the Rapid Transit District operates three types of buses; local, express, and regional. The local buses are primarily for transit in and around the immediate area. Most of these buses stay at street level. 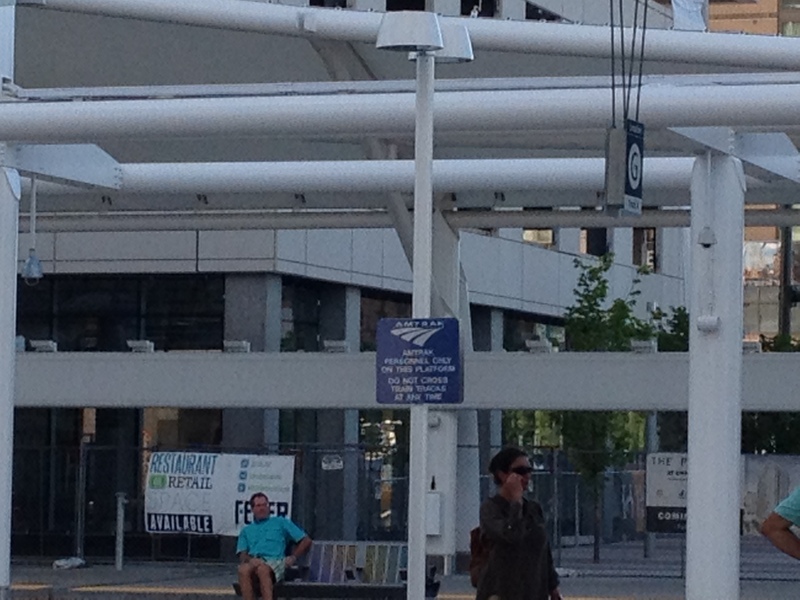 But the express and regional buses, which connect downtown Denver to places father away, such as Boulder, Evergreen, and Longmont, arrive and depart from an underground bus terminal right below the train tracks that were just built. In addition to these regional buses, longer distance buses, operated by Greyhound, are now arriving and departing at this bus terminal as well. 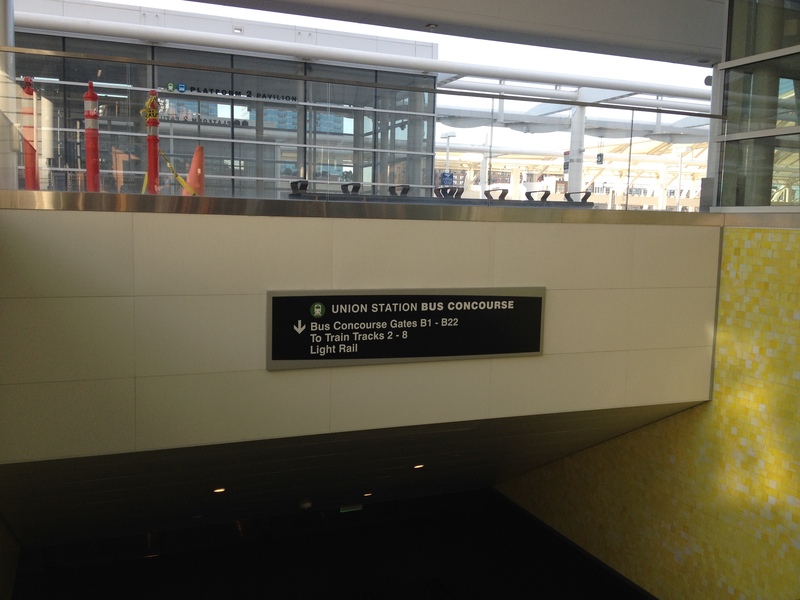 And, of course, if there is time between buses or trains, the new Union Station has a terminal with bars, restaurants, a large waiting area, and even an airport-style newsstand shop. This new centralized transit hub gives Denver something that nearly all significant cities have; a focal point for its transit system. Currently, the focus is on connectivity within the metropolitan area. Service to areas outside of this particular urban corridor is limited, and sometimes unreliable. However, with the tracks in place, and the additional amenities built, it is not hard to imagine a future state where some kind of efficient transit service between Denver and other parts of the West has been established, and functions out of this very location. Futurists and urbanists often talk about the emergence of “megaregions“. This is already clearly occurring in the Northeast, with the corridor of cities from Boston to Washington D.C. becoming highly connected and well traveled. The de-facto capital of this region is New York City. Other megaregions expected to emerge include one in the Southeast centered around Atlanta (and expected to include Charlotte), and one in the Midwest centered around Chicago (and certain to include Milwaukee and Madison). With Colorado’s rapid growth, it is not hard to imagine a megaregion centered around Denver, with frequent travel to Boulder, Colorado Springs, Fort Collins, and possibly even places in the mountains (a train to Vail would be great). With the building of the new Union Station, with more track, more platforms, a sizable waiting area, restaurants, bars, and many other transit-oriented services, Denver is preparing itself for its role as the de-facto capital of the “New West”. 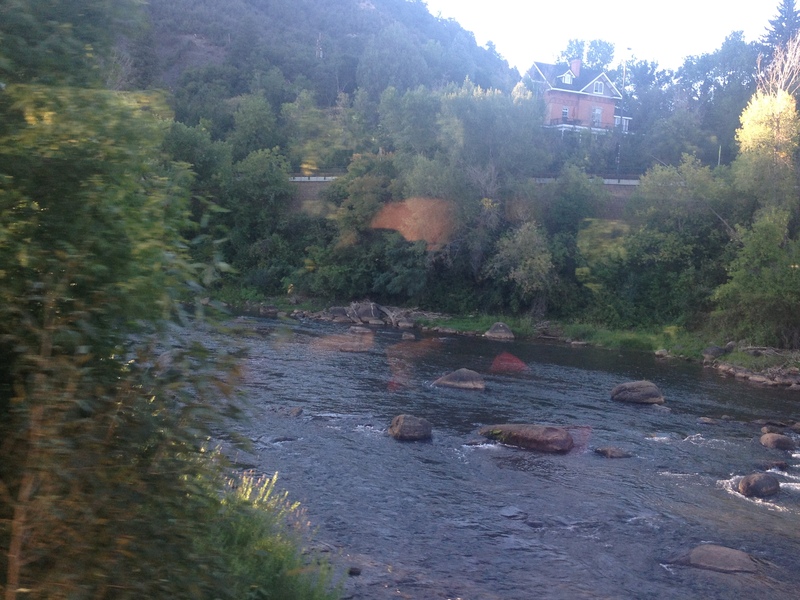 This entry was posted in cities, Colorado, Trains, transitioning places, transportation and tagged Colorado, Denver, megaregions, Trains, transit, West on August 2, 2014 by Stephen Jaye. Today started with a ride on the fastest train I have ever ridden: The high-speed train from Rome to Florence. It topped out at 250 km/hr (155 mph). Traveling at those speeds did not feel too different than traveling at 60, 70, 80 mph as I commonly do in my car. However, it was definitely noticeable that the scenery was going by faster than what I was used to, and that we were moving much faster than all the cars we saw on an adjacent highway. There are also a lot of moderate size mountains in Italy. I think we spent about 25% of this trip underground, in tunnels under mountains. Our hotel in Florence was much nicer. Mainly, it was a lot bigger, our hotel in Rome was really kind of small, but I guess that is what to expect in such a crowded area. Luckily, our hotel room was ready for us when we got there, which was before 11 AM. So, we were able to drop off our bags and go straight to the Galileo Museum. This museum is actually not very well known, but it was our choice to be unique and go somewhere different. This paid off for us, as the place was much less crowded than many of the other sites in town. The museum itself was a really good deal, for only 4 Euro each, and it is quite stacked with ancient scientific instrumentation. The museum also contained a historical narrative of the history of science. After visiting the museum, my mind was fixated on the Renaissance. Specifically, why it happened. Why was it that people suddenly became interested in this stuff after nearly a millennium of seemingly not caring about any of it? From sometime in the 1400s onward, there’s been a cascading of scientific discovery and invention; new instruments to measure the weather, directions, proof the Earth is round and not the center of the universe, observations of other planets, electricity, the steam engine, etc. All of this made our lives much better than those that lived 1000 years ago. But, what triggered it all? There seemed to be an interest in navigation after European Nations discovered and started colonizing the new world. But that was discovered in a quest to find trading routes. So, was it all just a quest for cheaper cooking supplies, and spices in the aftermath of Marco Polo’s epic journey to the East? Or, was it a new “age” of sorts, as explained by both Western and Eastern Philosophy/ astrology where humanity undergoes cyclical trends both long term and short, where thinkers like Aristotle and Socrates lead the emergence, or Renaissance out of the previous dark age (in the aftermath of the collapse of the Mycenaean civilization), and Galileo and Copernicus leading the emergence, or Renaissance being discussed here. Florence is a beautiful city. We went out ourselves exploring it, after going to the museum and eating lunch. First, we climbed some outdoor stairs to the top of the Michelangelo Garden. Then, we climbed the indoor stairs in the Duomo. That is where we encountered the most annoying American tourists of the entire journey. This family was climbing the stairs (there are a lot of them) to the top of the Duomo. The mother and the oldest son were behind us, and the father and the younger daughter were in front of us. The mother in the back was getting claustrophobic and kept complaining- over and over again. On at least six occasions, she threatened to turn around and go down. The last one was after the father/ daughter had informed her that they saw the top! The only one in that group I respected was the little girl. She was like 6 years old maybe, and she actually taunted everyone else. The older son kept asking the Mom is she was okay. I bet she had expected climbing this Duomo to be exactly like going to the top of the Empire State Building, with a nice fancy elevator. These people probably give American tourists a bad name. The Arzo River, all day long, was filled with rowers. No other water activites were going on.. NO … NINE! No boats, no cruises, only rowing. It is like a local law. Also, the tops of the buildings looked like Mexico/ New Mexico (red clay). We kind of enjoyed walking around here more than Rome. Finally, at the end of the evening I got to try two Italian beverages. Grappa, which I thought tasted like a combination of Vodka and bread. The beverage is drank by Italians in a similar way that that one beverage in the movie My Big Fat Greek Wedding, you know, the tall one that Ian’s parents get drunk on, is drank by Greeks. Also, Martini, a sweet vermouth beverage. I enjoyed this one very much. Both of these beverages were given to me for free. How’s that for Italian hospitality. This entry was posted in Italy, Museums, Trains on March 27, 2012 by Stephen Jaye.